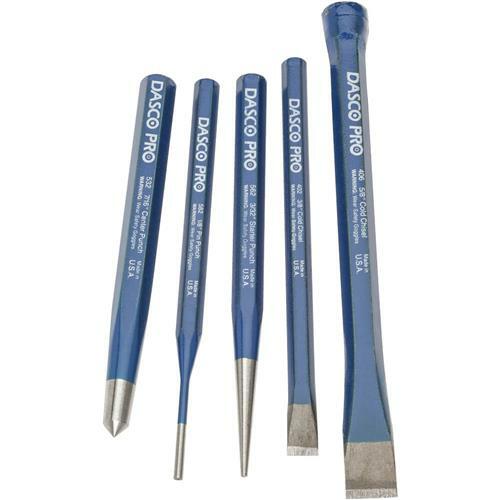 Every well equipped tool box needs a set of cold chisels and punches. This handy set includes 3/8" and 5/8" cold chisels, 1/8" pin punch, 3/32" starter punch, and 7/16" center punch. Made in the U.S.A.